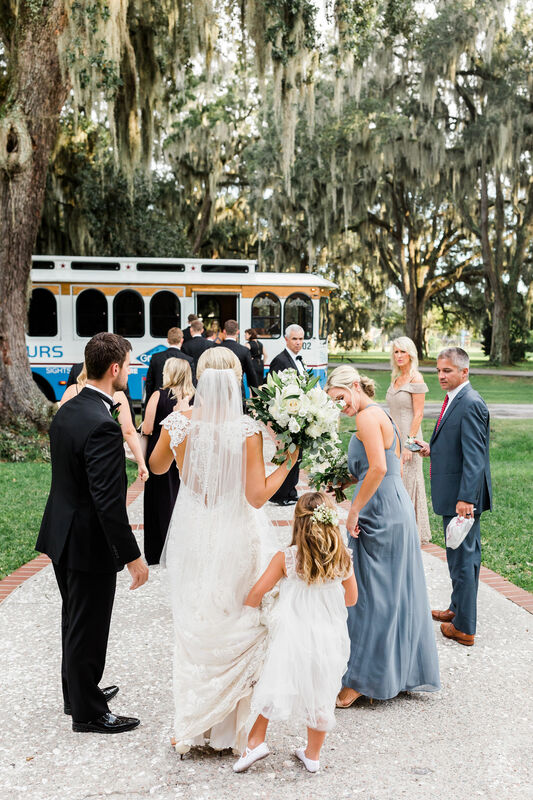 LET US TAKE CARE OF ALL YOUR WEDDING DAY TRANSPORTATION NEEDS! Kelly Tours provides excellent transportation service on your special, once in a lifetime, day! 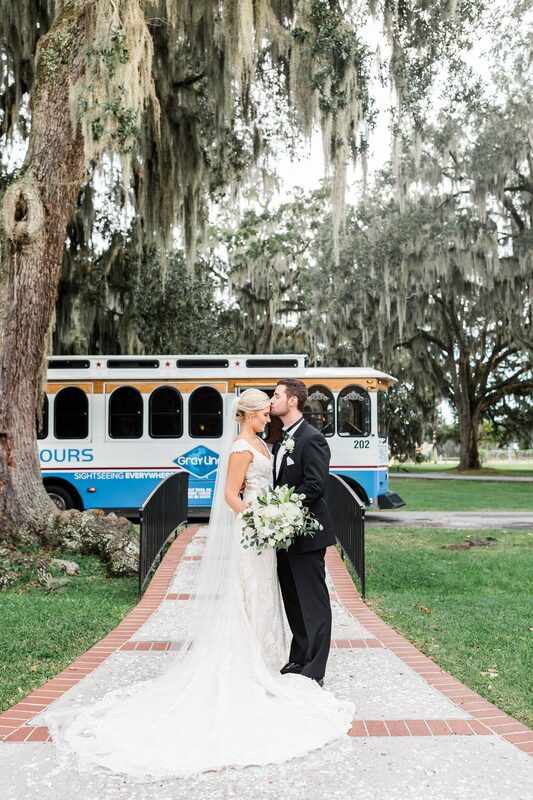 Your guests can relax in air conditioning aboard a Kelly Tours trolley and enjoy passing under oaks dripping with Spanish Moss, by beautiful historic Colonial & Victorian homes, and down cobbled streets from days gone by while en route to your wedding ceremony and reception. 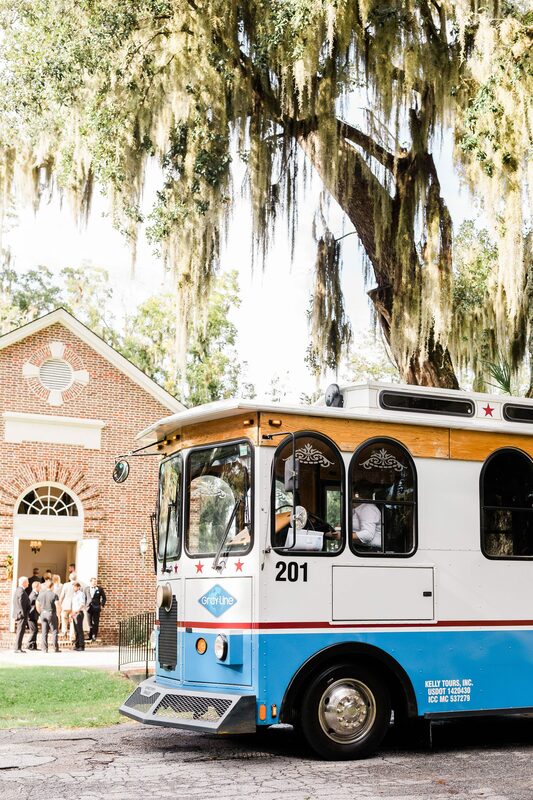 We provide you with stress-free service so you can truly enjoy your day while guests can ooh and ahh out the windows of the trolleys on the way to the church, square, reception hall, or wherever you need us to take them. Fill out the form below and we will be in touch as soon as possible! Wedding photos by JB Marie Photography.